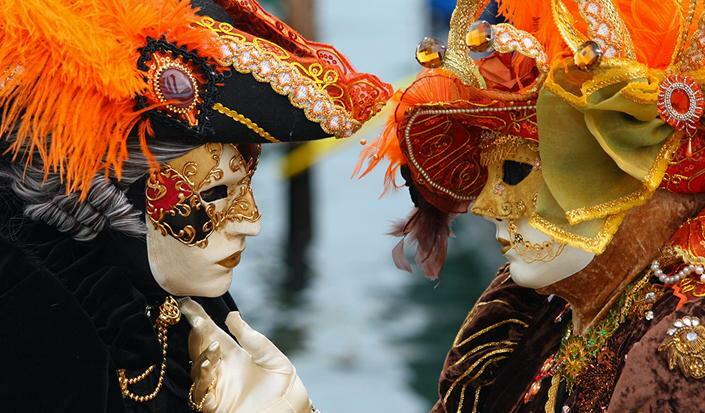 Home » Headlines » Experience the carnival madness in Venice by boat! Experience the carnival madness in Venice by boat! Rent a boat with heating (with great discount!) and be a part of one of the world's most famous carnival in an original way. 7 days - weekly charter from 09.02.-16.02. or 10.02.-17.02.2018, starting from Izola (Slovenia). It is also possible to rent a boat for short period of 2 - 3 days. Take a look at prices for weekly charter and boats available for this special offer. In addition to the carnival in Venice, this can be an excellent opportunity to visit the beautiful cities in Istria (Novigrad, Rovinj, Vrsar, Porec, Pula, Brioni islands), the northern Adriatic (Krk, Cres, Opatija, Rijeka...), the Slovenian coast (Koper, Izola, Piran, Portoroz) and Italy (Trieste, Grado...). If you intend to arrive by plane, nearest airports are Trieste Ronchi dei Legionari (I), Venice (I), Ljubljana (Slo). Contact us for reservation and all details on info@yacht-rent.com or by phone +38598369692.